Posted on October 12, 2017. Subscribe to our blog by email. 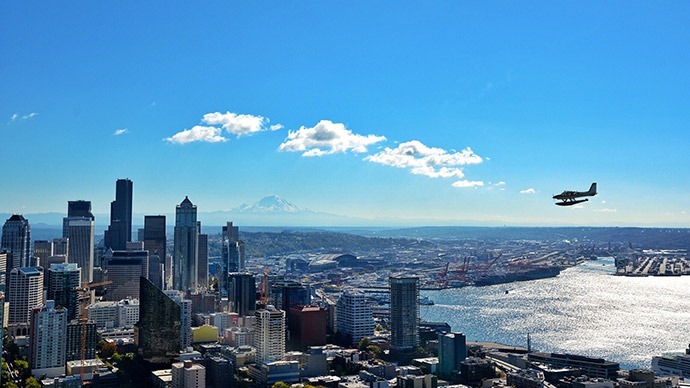 SEATTLE – A new report by Global Washington (GlobalWA) explores the economic impact and interconnectedness of Washington state-based businesses and nonprofits that are working to improve lives in developing countries. Currently GlobalWA has 27 for-profit members. In addition to supporting humanitarian responses globally, such as the Syrian refugee crisis in the Middle East and the hunger crises in Eastern Africa and Yemen, businesses are also working to improve the resiliency of their supply chains and at the same time benefiting local communities where they work. The economic impact of the global development sector in Washington state is sizeable and growing. In 2015, Global Washington’s non­profit and foundation members directly supported more than 10,000 jobs in the state, and had a combined total of $8.5 billion in expenditures on international activities. GlobalWA members that are grant-making foundations include the Bill & Melinda Gates Foundation, Pangea Giving, SE Asia Foundation, Seattle International Foundation and the Seattle Foundation, and the Mona Foundation. The global impact of these members is far reaching. Collectively, they operate in or issue grants to organizations working in more than 50 countries. They represented approximately 1,200 Washington state jobs in 2015, as well as $4.8 billion in revenues. GlobalWA’s 18 academic institution members also contribute to global development through educational programs and international exchanges that are geared toward entrepreneurship, as well as women and girls’ empowerment.